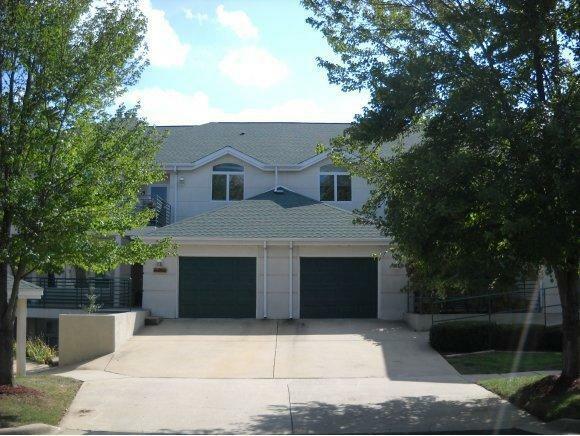 Highly desired WALK-IN condo with GARAGE, located in the gated subdivision of Palace View Condos. This condo boasts, large spacious kitchen, full size laundry room with above cabinetry, open living with a cozy fireplace, huge master suite with a big walk-in closet, jacuzzi tub, walk-in shower, and long double vanity! Relax on your Massive covered deck overlooking the pool! New HVAC and water heater installed in 2018! Community has two pools and clubhouse! Palace View is within a mile of the famous 76 Music Blvd, a quick drive to Table Rock, Lake Taneycomo, The Branson Landing, hospital shopping and dining! Call Today for your private showing, this one won't last!